Warrigal greens, Botany Bay greens, native spinach, New Zealand spinach. 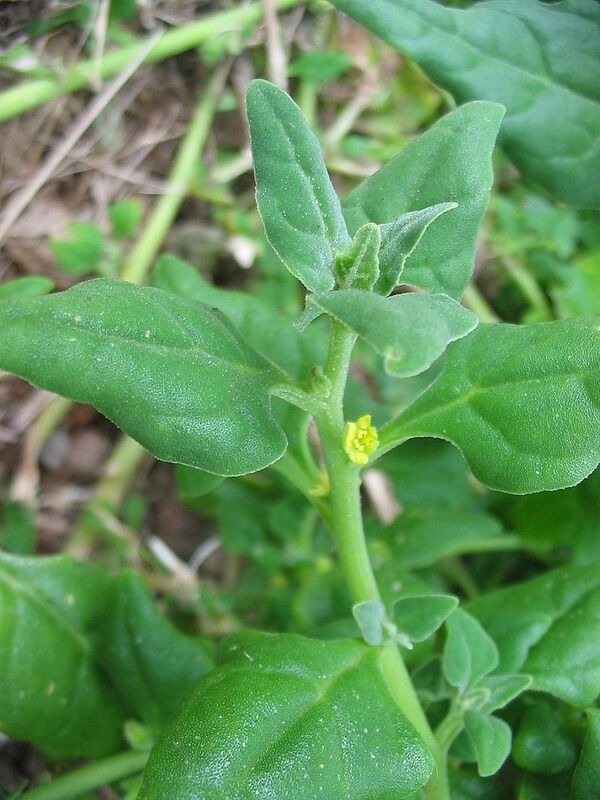 Lieutenant James Cook used Warrigal Greens as a source of vitamin C for his crew on the Endeavour during his voyage to New Zealand and Australia and it was also harvested and eaten by those who arrived from England with Captain Arthur Phillip on the First Fleet in 1788. Curiously, Aboriginal people in Australia and Maori in New Zealand are not known to have utilised the plant. Leaves can be cooked or served raw in salads. Similar to spinach, with an added metallic bitter end note. Blanch for one minute, then use your warrigal greens in a quiche, frittata, omelette, in stir-fry in pesto, dumplings, pasta, or fritters.